Tier1FX had partnered with industry leaders to offer the best high-frequency, low-latency trading experience possible in a STP-DMA execution environment. We have designed our server infrastructure to bring you the most reliable and innovative trading solutions. Our fully automated straight-through-processing systems give you direct market access, with no delays, no requotes and no dealer intervention. Tier1FX trading hub is cross-connected to all our liquidity venues via Equinix data centre in New York (NY4) with data centers located around the world.  Execution speed is important for your trading strategy, using our dedicated cross-connection to Beeks Financial Cloud brings you 0.2-millisecond latency to our infrastructure in Equinix NY4. Get your VPS or Dedicated Server with Beeks Financial Cloud and start trading immediately at 0.2-milliseconds latency throughout any of Tier1FX platforms. Take advantage of Tier1FX's combination of technology and liquidity to empower your trading.